Crystal growth far from thermodynamic equilibrium is nothing but homoepitaxy - thin film growth on a crystalline substrate of the same material. Because of the absence of misfit effects, homoepitaxy is an ideal playground to study growth kinetics in its pure form. Despite its conceptual simplicity, homoepitaxy gives rise to a wide range of patterns. This book explains the formation of such patterns in terms of elementary atomic processes, using the well-studied Pt/Pt(111) system as a reference point and a large number of Scanning Tunneling Microscopy images for visualization. 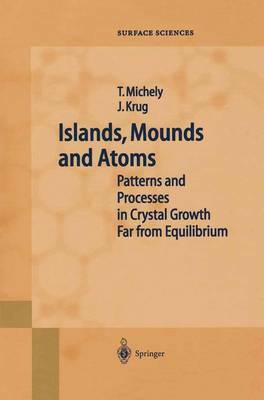 Topics include surface diffusion, nucleation theory, island shapes, mound formation and coarsening, and layer-by-layer growth. A separate chapter is dedicated to describing the main experimental and theoretical methods.